Wednesday was our rest day. We visited The Florida Mall and that was about it! Walked around, didn't buy much of anything. 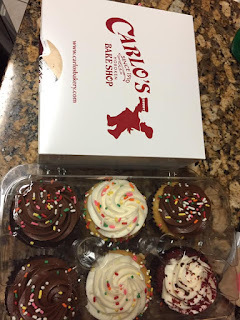 We stopped by Carlos' Bake Shop (Cake Boss!) to get some (expensive) goodies. They were OK, not anything special. 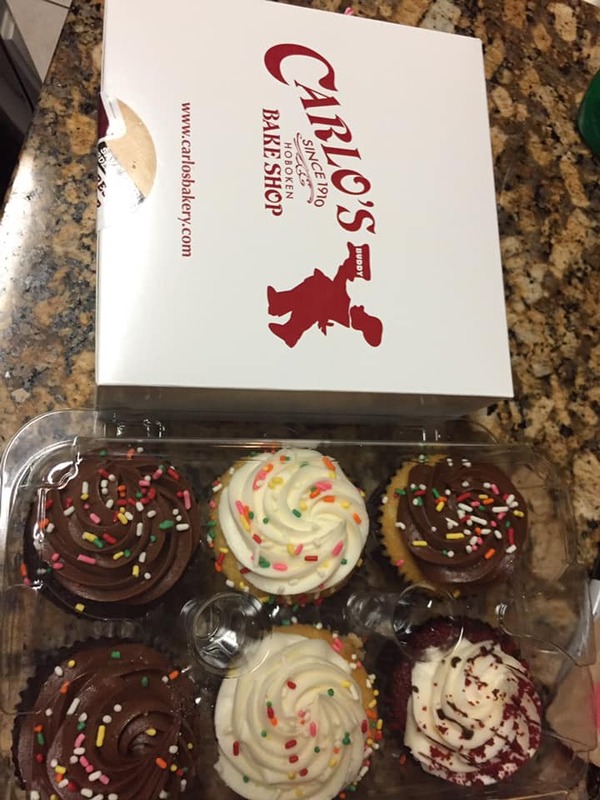 The kids said my cupcakes and cookies were better. Ha. Thursday was our final day. 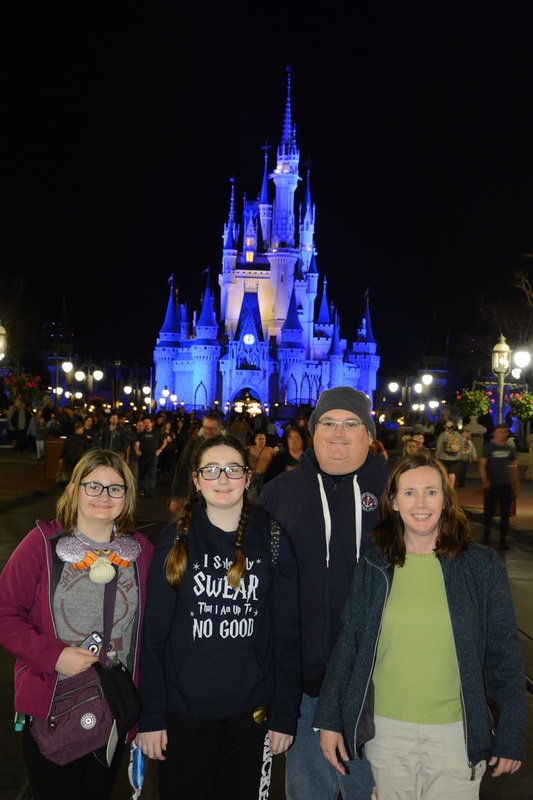 We had tickets to Disney After Hours at Magic Kingdom, so we knew it was going to be a very late night. 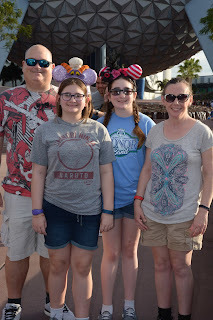 We went to Epcot for a few hours to get a few more rides in. We made sure to ride Spaceship Earth one last time... and visit Club Cool again before it all goes away. About 5:30 we headed over to Magic Kingdom for the event we had all been waiting for: Disney After Hours. 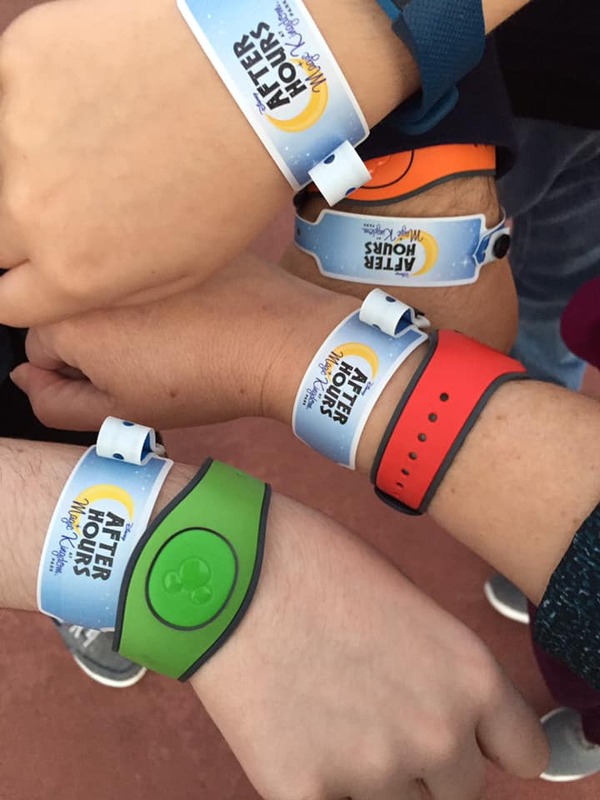 We got our wrist bands and managed to grab a few Fastpasses to kill some time. 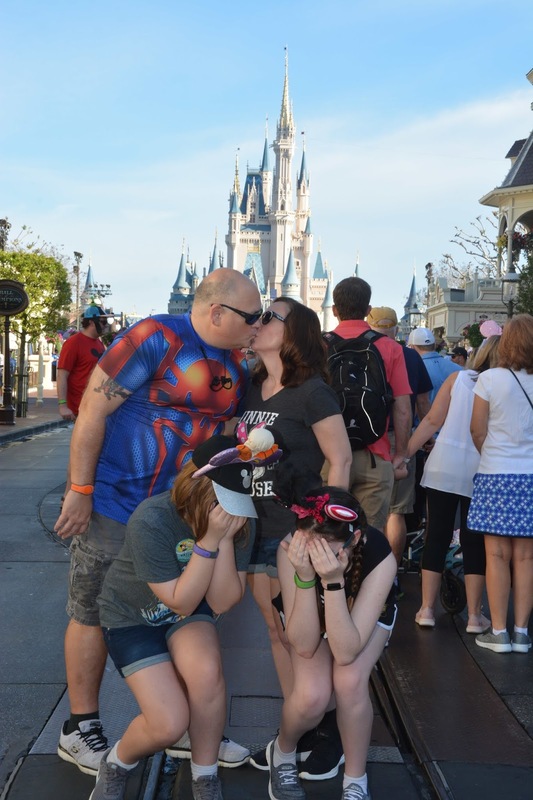 We got a good spot for Happily Ever After. We split up - Clint and Valerie went one way and Veronica and I went another. It was a sold out night, which last year's was also, but it was obviously much more crowded than the previous two DAH events we've attended. Still, it was very manageable. The longest waits were for Mine Train, Pan, and Big Thunder. Everything else was practically walk on. Still, there wasn't that feel of being in an empty Magic Kindom like before. There were people around, not many, but you were never alone. We ate our share of ice cream and drinks!! If you have the chance to do DAH, do it at least once. If they keep increasing ticket prices (heard they were going up?) along with the number of tickets sold, it may not be worth it... If it stays as it is, I'd likely do it again. Just to give an idea... this is what we did in 3 hours. We stayed until The Kiss Goodnight.... said our goodbyes... shed some tears.... and it was time to go. 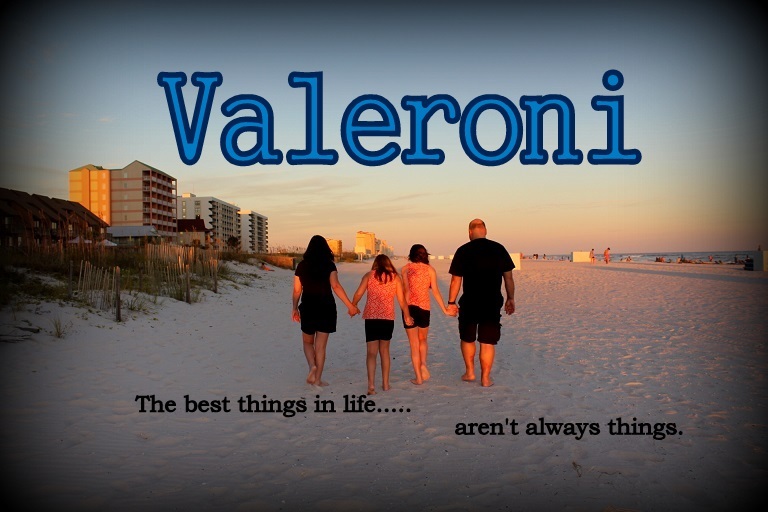 Who knows when we'll be back because with Valerie being in marching band next year there is a lot of unknowns about her schedule. We had to get up SUPER early because for Veronica's birthday, we had decided to give Early Morning Magic a try. (EMM is a separate ticketed event that includes breakfast and select Fantsayland rides before the park opens with short or no waits.) Unfortunately, it ended up being somewhat of a bust.... The event started at 7:45, so we made sure we arrived at Transportation and Ticket Center in PLENTY of time to get to Magic Kingdom. We went through the security checkpoint in front of the monorail, only to be told that we could not get on a monorail or the ferry. Transportation did not begin until 8am, which made no sense with an event that started at 7:45. They sent us to the bus area, which was waaaaay back in the direction we had just came from. Asked someone else, who said the buses were starting a little earlier today, and were directed to wait with a crowd of people. Time is ticking..... getting annoyed....I paid a lot of money for this and now we can't even get to Magic Kingdom?! The sky is growing dark. Finally a bus comes and we just barely made it on before it was full. Got to Magic Kingdom, had to go through bag check AGAIN. Then we had to grab our wristbands for entrance to the event. Did all that and had about 5 minutes to spare. So, 7:45 comes and we still aren't being let in. Someone made an announcement about Tinkerbell was still getting the park ready. It was just about a 3-4 minute delay, but when I'm paying a small fortune for an event that is only 1 hour and 15 minutes long, I want to get in on time. They let in the masses, and we let the kids take off by themselves. The sky is grey. It is cold. 50 degrees with a brisk north wind. Clint and I rode Winnie the Pooh. We get out to find that it is raining. And it rained harder, and harder. It was cold. And wet. We ponchoed up and located the kids. They had been on Seven Dwarfs Mine Train and nothing else. Made them poncho up. We rode Peter Pan. 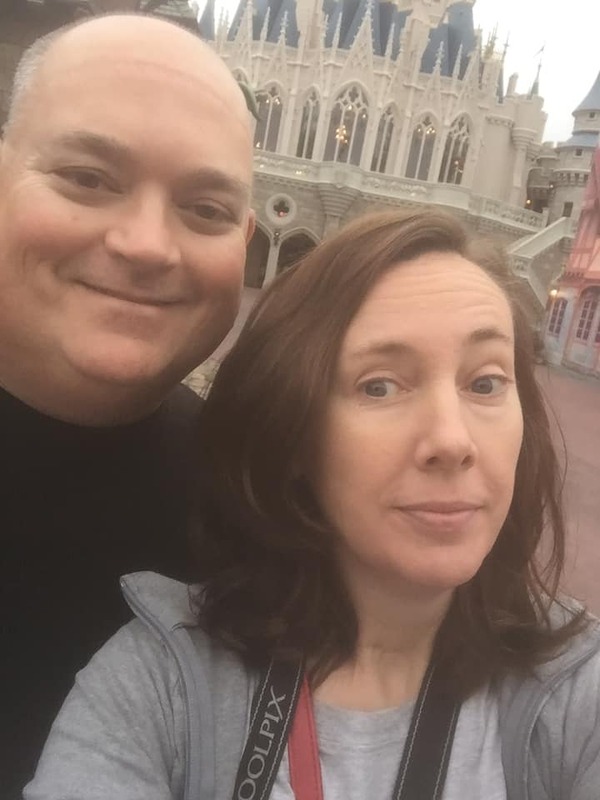 Walked around, enjoying the emptiness of Fantasyland. It's still raining. It's still cold. Just miserable. Kids rode Pan. Pooh was down. And with that, we were done and went to get our breakfast at Cosmic Ray's. 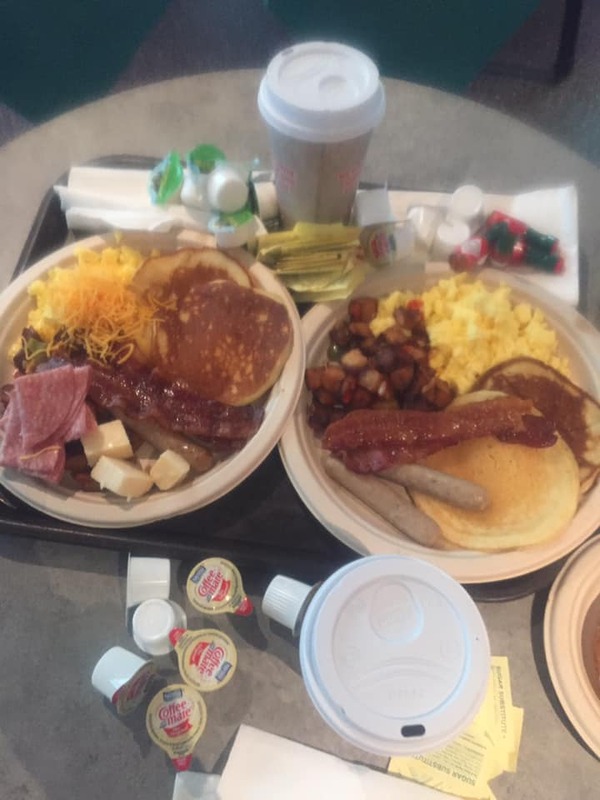 Breakfast was decent. It's pre-plated and there were various pastries, meats, and fruit on the buffet. Kids were not hungry and ate nearly nothing. 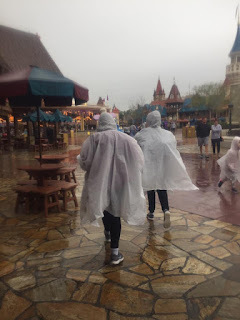 Val wanted to ride Space Mountain at rope drop, so she ponchoed up and went to wait. It went down while she was in line, so she was transferred to the other side. At least she got to ride though. It was still cold, and still raining. We did a few indoor rides trying to stay out of the weather. It was time for the 10am parade, so we walked towards the castle to see if it was still happening. We got to see The Rainy Day Parade instead!! Kids were stoked about that. It rained until lunchtime. It was supposed to be in the 60s, but it never did warm up! It stayed around 50 and breezy, damp, and cold. We all wished we had worn warmer clothes that day. It was early afternoon when we decided to call it a day. 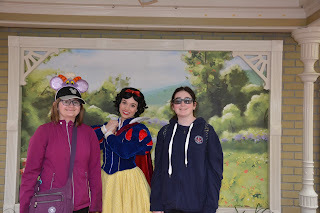 On the way out, we saw Snow White and had to stop. The Dapper Dans were also out, so we watched them for a bit. It was a rocky start but the day turned out pretty good over all. 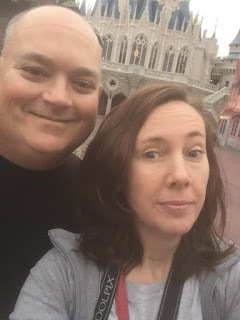 On day 2 we visited Epcot. We slept in a bit as rope drop isn't as dire as it is at Magic Kingdom. 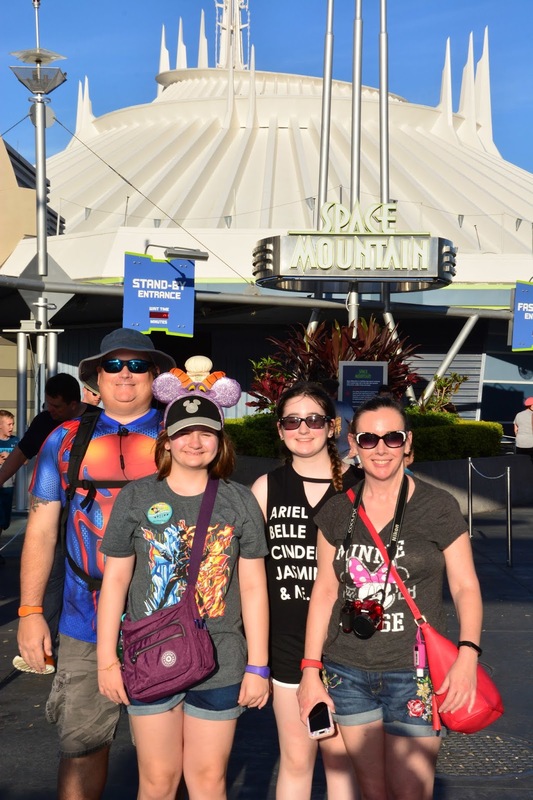 We rode Spaceship Earth and Soarin' with fastpasses. We visited Club Cool because you have to try the Beverly. (I actually don't think it's that bad. It's not good but I've tasted worse.) For lunch we had reservations a Biergarten. We took the ferry over to World Showcase and walked over to Germany. We were almost there and it started to rain. Not hard, but hard enough to pull out the ponchos. Of course, as soon as we did that, the rain stopped. Lunch was fun - both kids went on the dance floor and had a blast. The food was not quite as good as it was previously. It seems some of things we liked were no longer on the buffet. Nobody left hungry though. 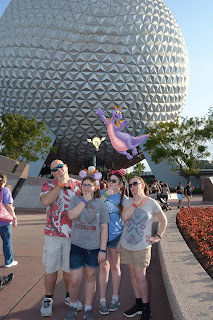 We knocked out a few more rides - Figment, Soarin' again, and Test Track. Then we made our way to the exit calling it an early day. 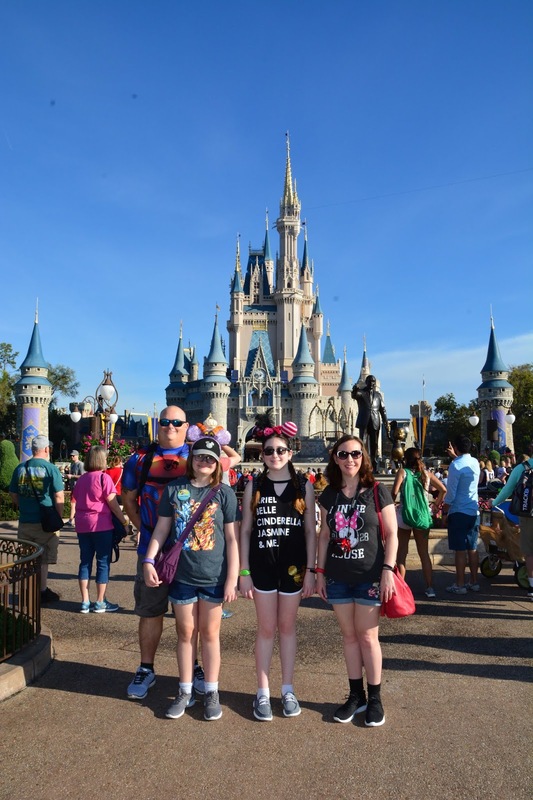 Once again we skipped out on Mardi Gras and made our annual trek to Disney World! The worst part of the trip was the drive - oh the drive!! Flooding rain the afternoon we left that never let up. Near gridlock all the way through New Orleans. Several other instances of stop and go along the interstate. Accidents. Construction. I-75 South was a nightmare, with traffic at a crawl for hours. The drive home was slightly less uneventful, but we still hit several rounds of being at a dead stop on the interstate. I'd seriously reconsider driving and just dish out the $2k to fly next time.... whenever that may be. Saturday, March 2, was our check in day. We stayed at our usual off-site resort, Windsor Hills. I went with a 4 bedroom/4 bath house complete with a pool and game room this time. This has to be one of the best places we've ever stayed at! Most of Saturday, was sort of a free day. We were able to drop our luggage off in the morning, then we drove around a bit and did a little souvenir and grocery shopping. We went back to the house, relaxed and spent some time in the pool. 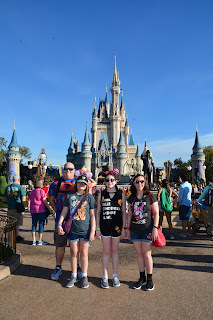 SUNDAY was a Magic Kingdom day! With parking now $25, we decided to give Uber a try. We were dropped off at The Contemporary and walked over to MK. Easy peasy and saved a few bucks and some time going through security! We arrived on Main Street about 8:30am for rope drop and did not leave the park until 9pm. Open to close.... Welcome Show to Happily Ever After! And the kids knocked out nearly every ride they wanted to do. We used Fast Passes to our advantage (tap, grab, and modify works!!) 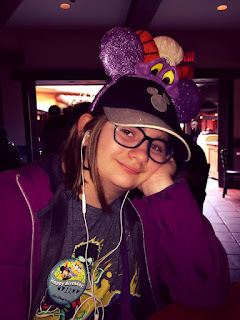 Plus, I emailed Disney and complained about the My Disney Experience App crashing on me and they set us up with 24 Fast Passes to use over 2 days, so that helped out a lot!